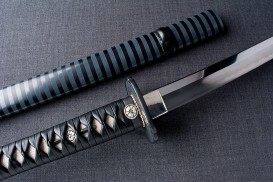 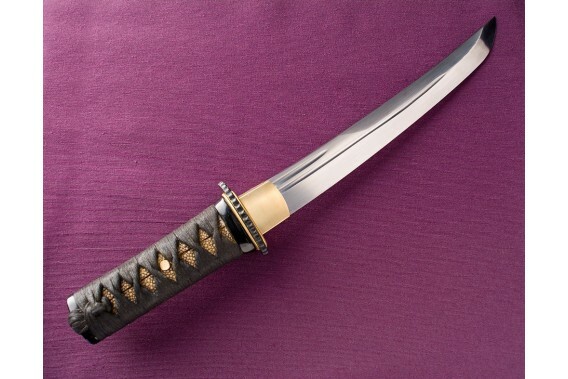 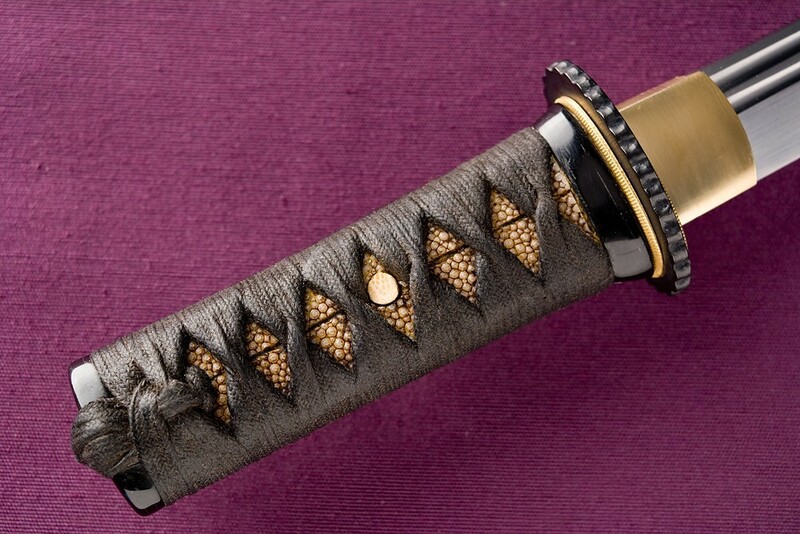 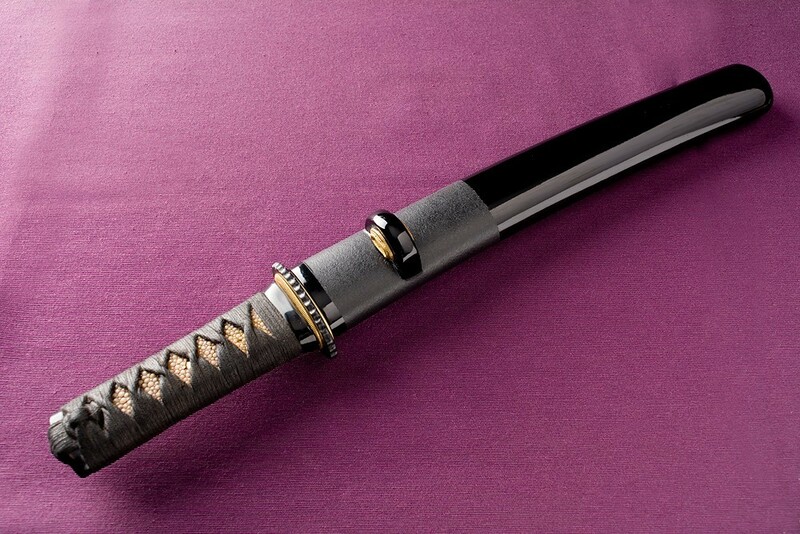 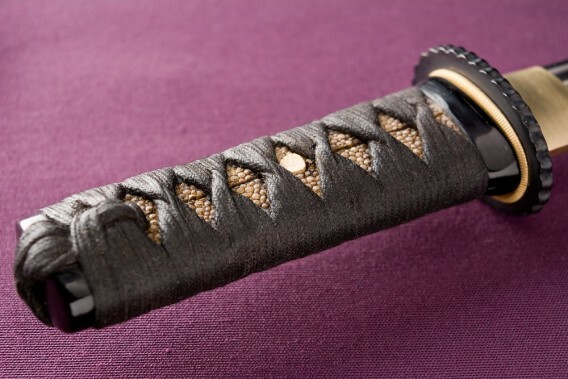 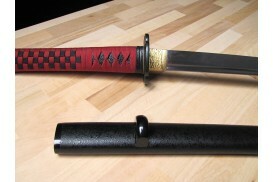 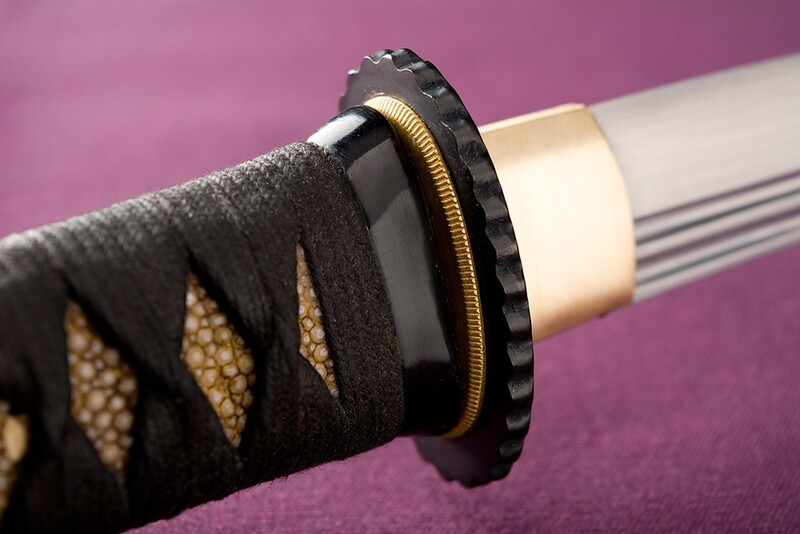 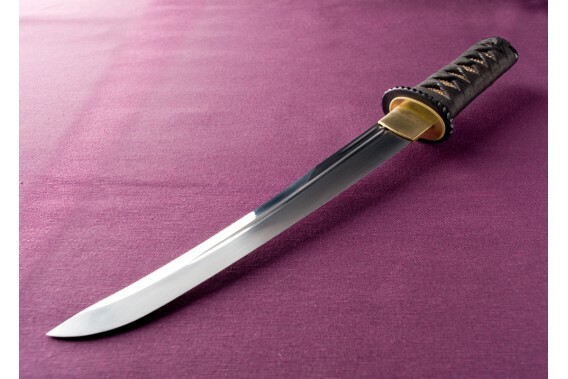 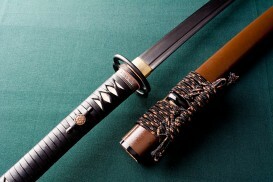 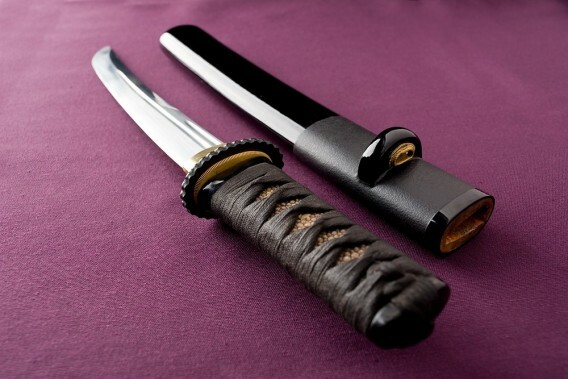 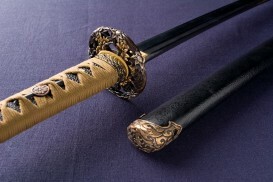 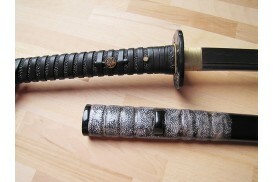 This Tanto has been given the appearance of an ancient well-preserved Nihonto. 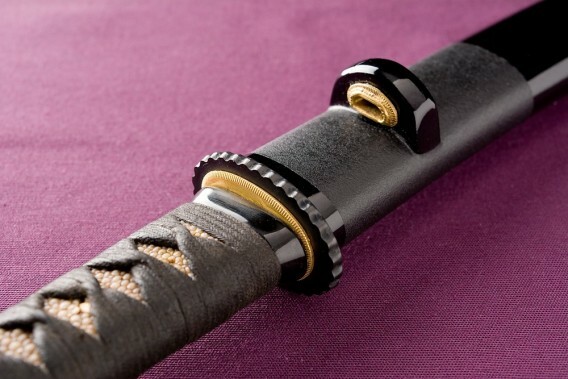 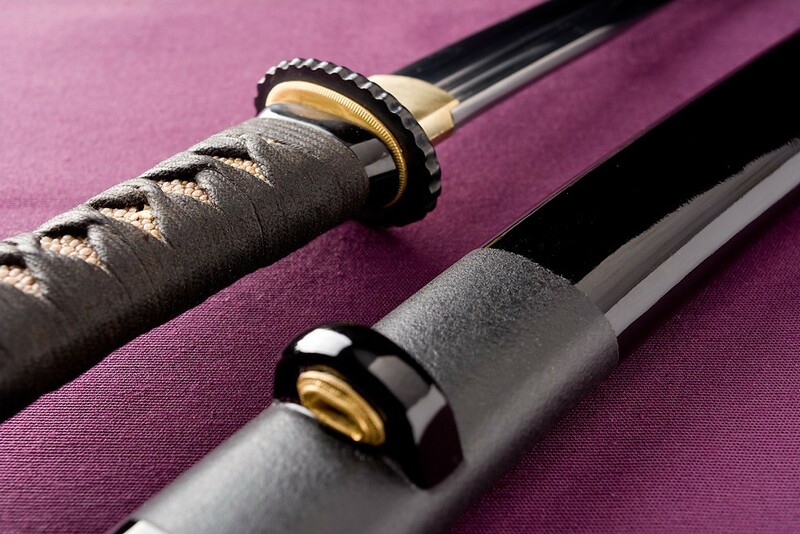 The Tsukamaki (handle wrapping) is finished in Tensho, Hineri style, waxed and polished. 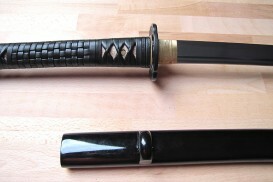 The Same has been age-treated which gives it an antique appearance. 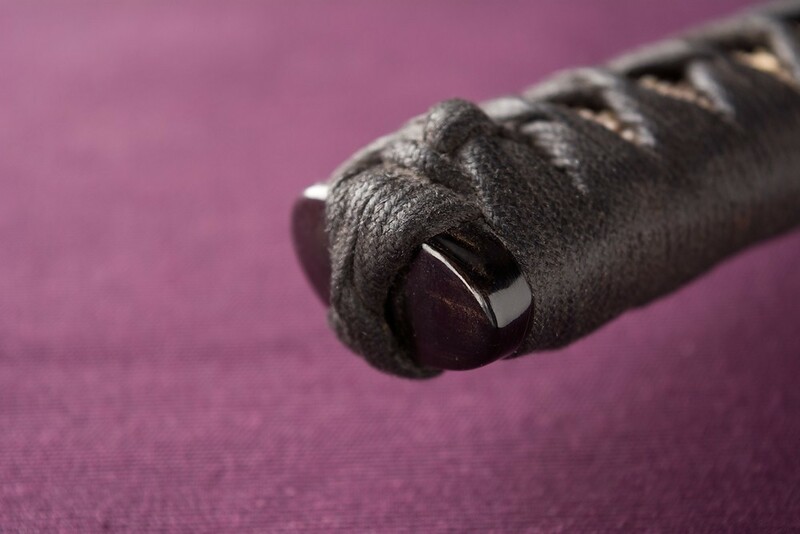 The Fuchi and Kashira are carved by hand with buffalo horn, incorporating a blued-iron Tsuba. 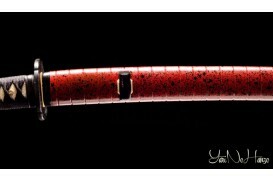 The lacquering of the saya has been done in Ishime along the first third and Kuroro on the rest.